This two-toned storage piece is brimming with stylish features that will add to the contemporary look and feel of your home. The diamond inlay pattern of the door-fronts gives it a striking appearance, while the contrast between the light and dark finishes brings about an inviting level of warmth. 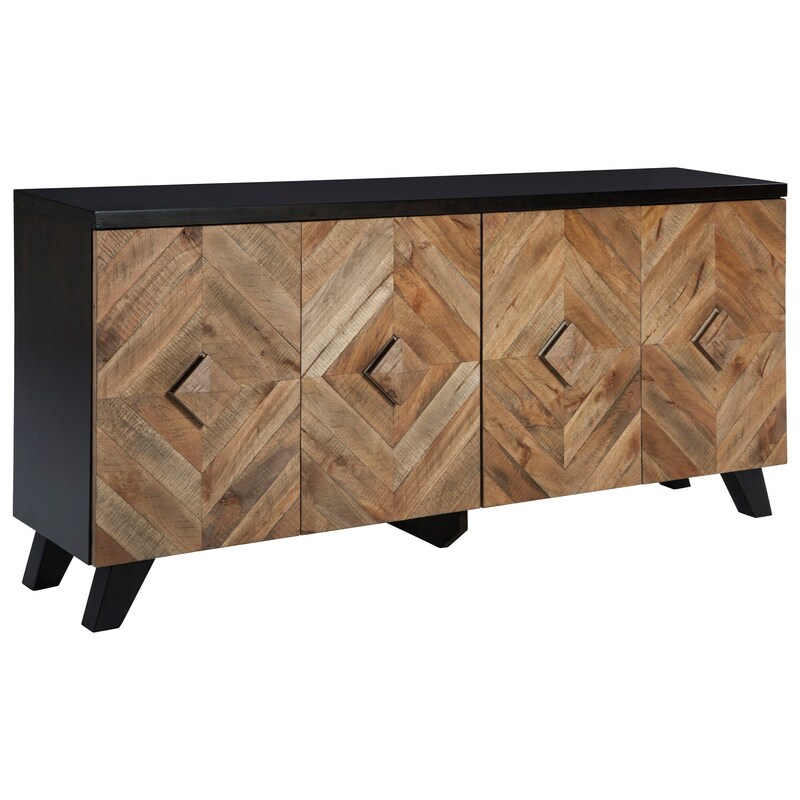 Whether you use it in your dining room, living room, or entryway, this four-door sideboard is equipped with all the style and functionality you need. The Robin Ridge Contemporary 4-Door Accent Cabinet by Signature Design by Ashley at Miskelly Furniture in the Jackson, Pearl, Madison, Ridgeland, Flowood Mississippi area. Product availability may vary. Contact us for the most current availability on this product. Storage Door opening (4): 34.00" x 13.50" x 24.50" Adjustable shelf (2): 34.75" x 13.50" x 0.75"